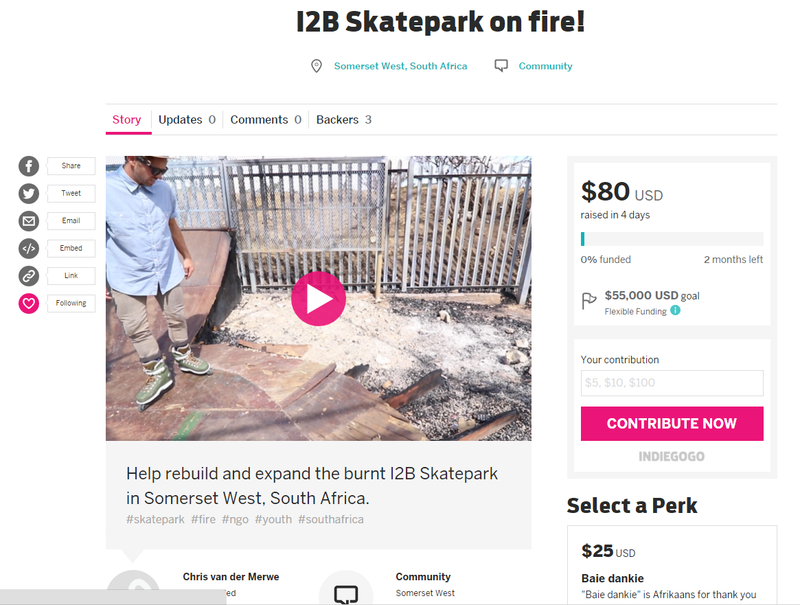 After the recent fire at the I2B Skatepark in Somerset West someone suggested that we start a crowd funding campaign on the Indiegogo website... and so we did! Thank you very much to Jean and Dean Brummer from Consuming Fire Films for making a brilliant video for the campaign. 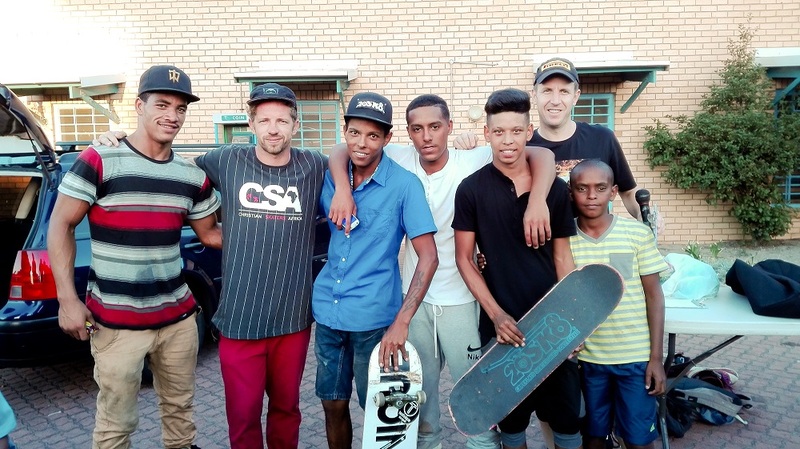 Funding will go towards the rebuilding and expansion of the skatepark and towards general running costs of the organisation. If you would like to see our campaign, please click here. 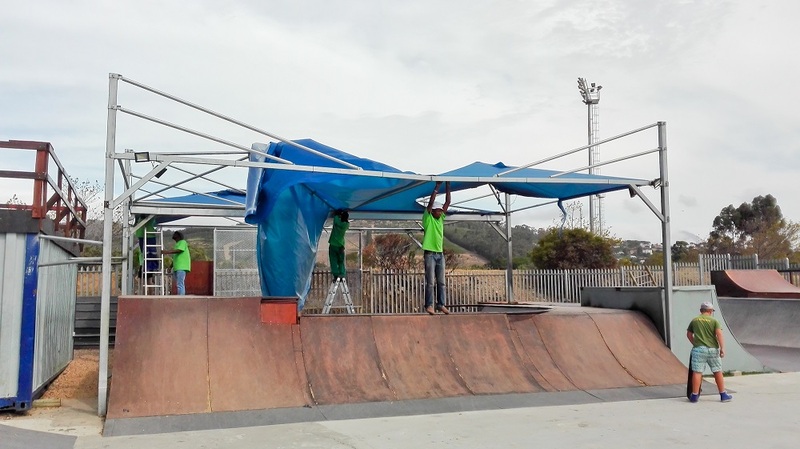 We started cleaning up the burnt area of the skatepark and Down to Earth Shading Company came to remove the damaged shading net. We really appreciate everyone who supported us up to now and we will keep you up to date on how the rebuilding process is going. 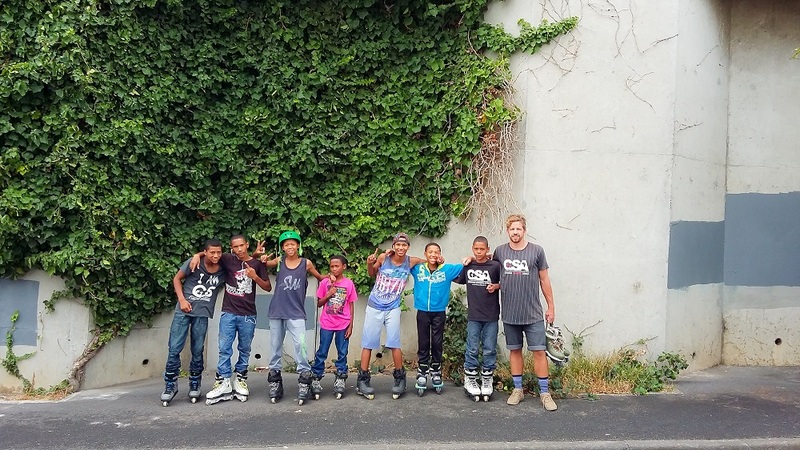 We are very proud of one of our coaches, Reagan Davids (left on photo), who held a rollerblading and skateboarding competition in his community in Bonteheuwel. The day was a huge success and everyone had such a great time! 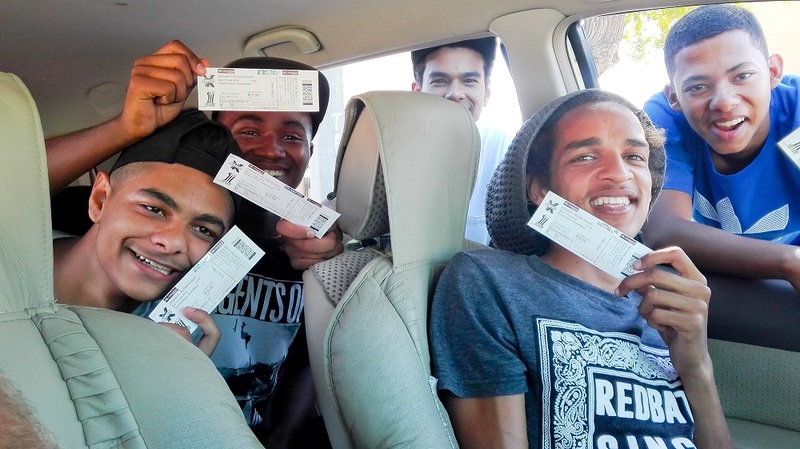 We would like to say a very special thank you to Markus Museler from Old School Productions for blessing us with tickets to go to this year's Ultimate X Festival at the Grand West Arena. 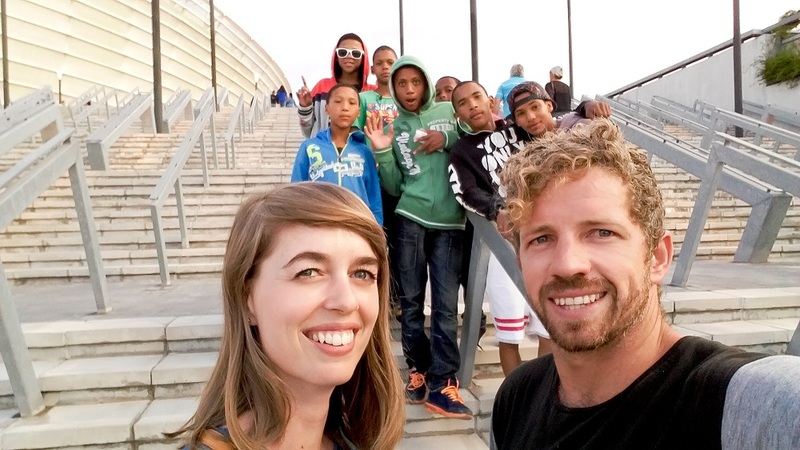 We volunteered to help with the preparation of the festival and one of our I2B volunteers, Ulrich Beukes, came to join. 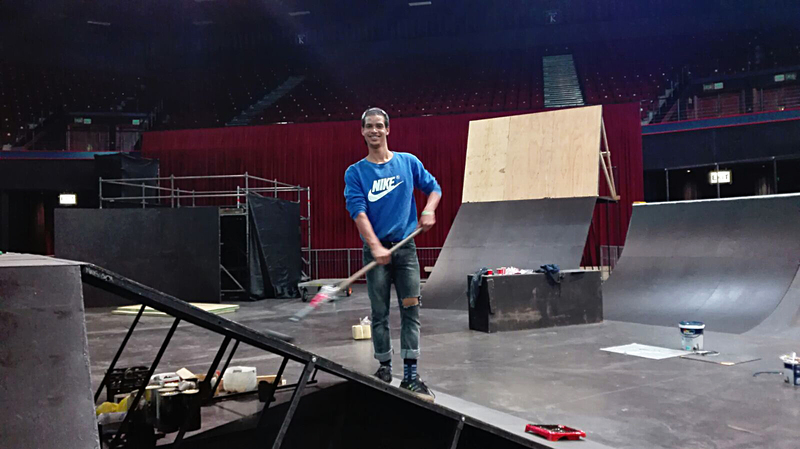 Ulrich has been volunteering diligently at the I2B Skatepark for the past couple of weeks. Thank you for all your hard work and for being such a great help at the park! 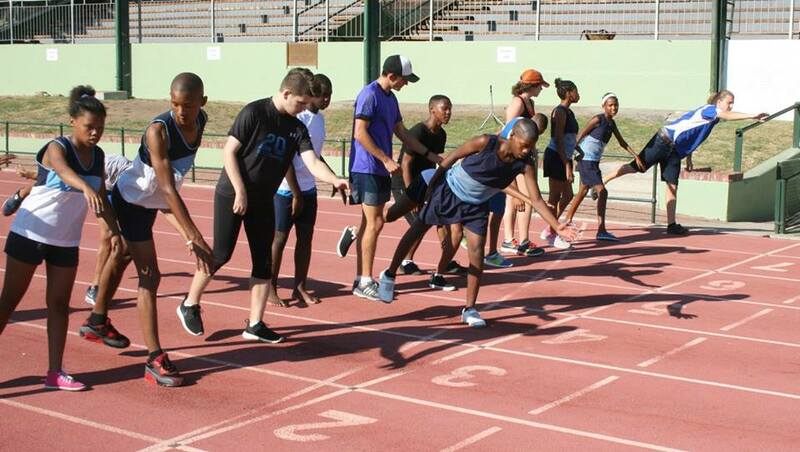 I helped with training athletes at the Maties Parasport Traning Camp. The focus of the camp was to inspire and motivate athletes who are going to Nationals this year. 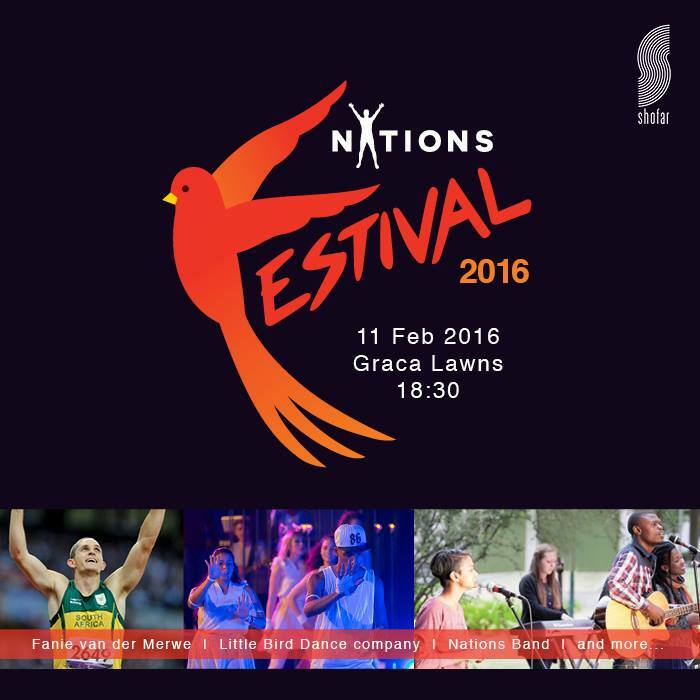 This festival was held at the UCT Campus where I had the opportunity to tell my story to the students. We also had a fun race, the Nations Band performed, we shared the gospel and we ministered to the students. 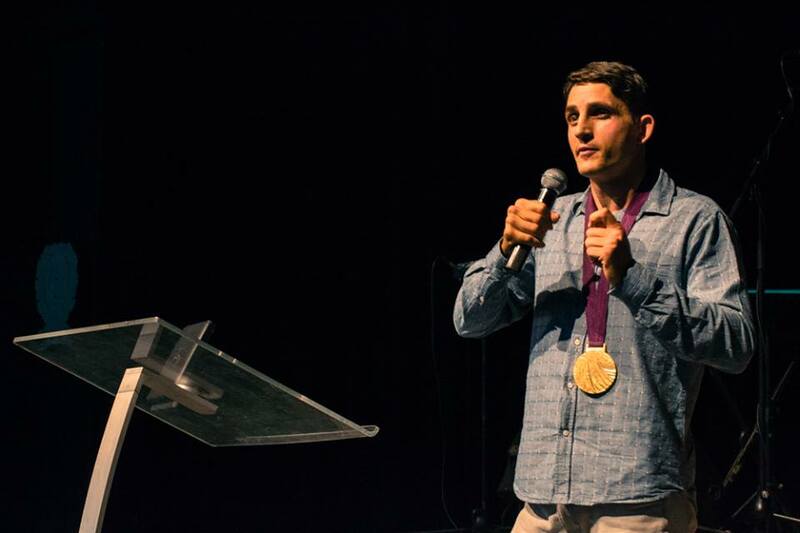 During the evening service of Stellenbosch Shofar Church, I shared what God has done through the blood of Christ - enabling me to put my identity not in a gold medal but in Jesus Christ. 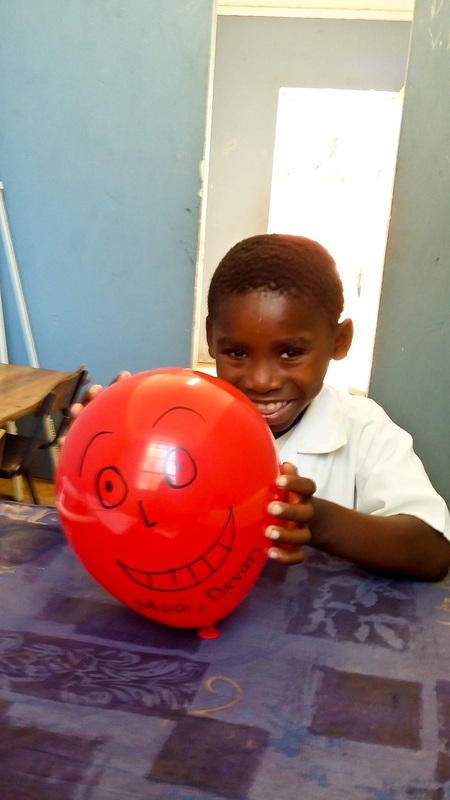 I started my educational therapy program at Raithby Primary School. The school cleaned one of their storerooms to create a space for me to work in. 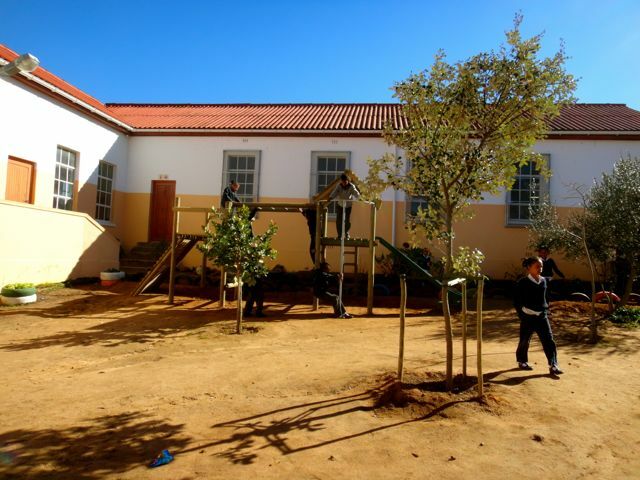 Thank you to the staff of Raithby Primary for being so welcoming and accommodating. I assessed the identified foundation phase learners who I will be seeing in small groups for the rest of the year. It was really great getting to know the young ones and I look forward to getting to know them even better! 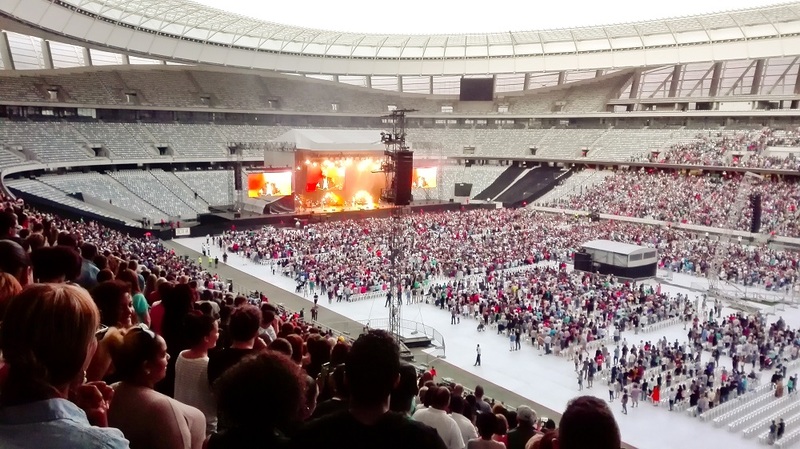 We were blessed with tickets to take some of our I2B club kids to the Passion Conference at the Green Point Stadium. 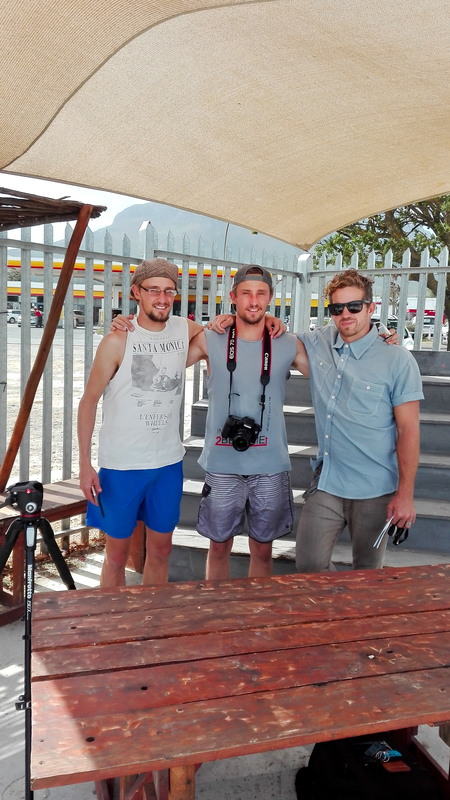 Before the conference we went for a quick skate at the Gardens Skatepark and an even quicker skim/swim at Camps Bay. It was truly a memorable evening. 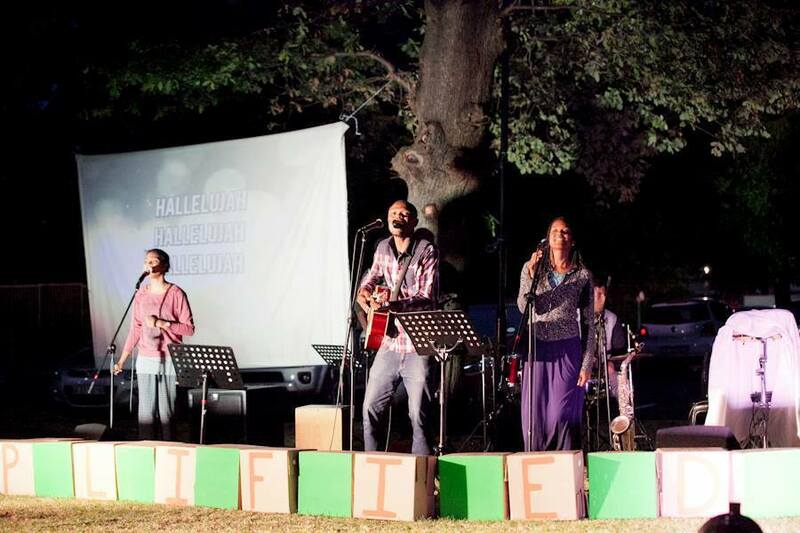 What an honour to have worshiped the King of Kings and Lord of Lords together! WANT TO JOIN THE SUPPORT TEAM? For I2B and CSA to make disciples who will make disciples again, for Jesus. 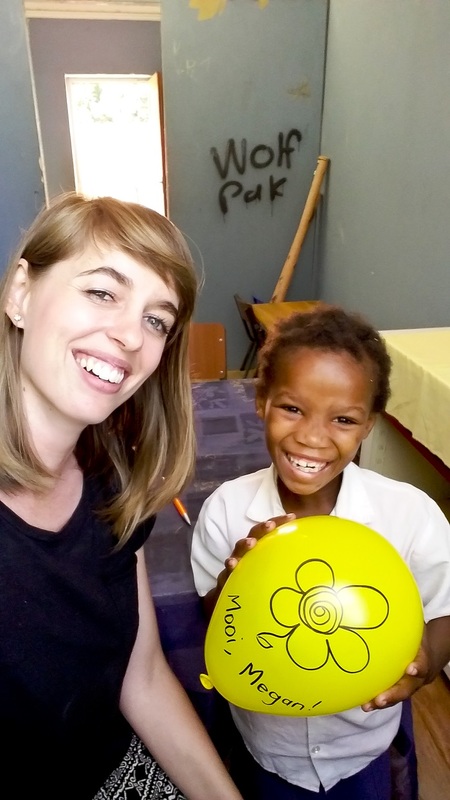 For financial, material, equipment and volunteer support. For the blessing of God on our support team and our projects. 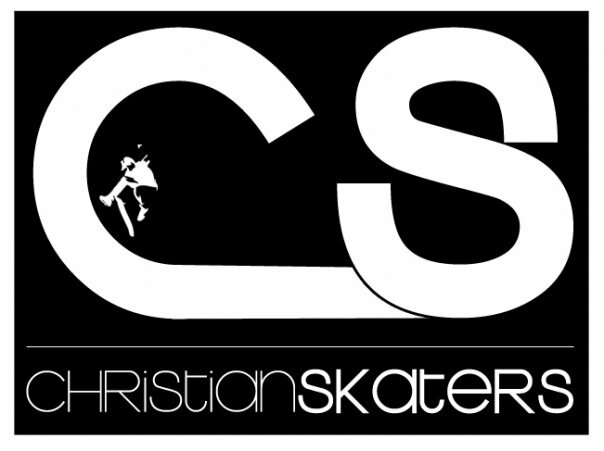 Copyright (C) 2011 Inspired2Become All rights reserved.